Spend a day away from the hustle and bustle of Las Vegas to experience the raw and natural beauty of the Grand Canyon South Rim. Words and even pictures cannot fully describe this stunning gift of nature. First photographed by Timothy O’Sullivan in 1871, we continue trying to capture the beauty of this geological wonder, but nothing compares to seeing the Grand Canyon in person. Gray Line has been providing Grand Canyon sightseeing excursions since 1947, so it’s fair to say that we've mastered the amazing tour experience to ensure you have the best possible touring experience. Your day will start by departing from the Gray Line Tour Center in Las Vegas located just minutes from the famous Las Vegas Strip. En route to the Grand Canyon, your tour guide will provide you with expert narration of the area’s most historical and interesting facts about the Spanish explorers, numerous native cultures, and the early Western Settlers of northern Arizona. A delicious lunch is provided at the exclusive National Geographic Visitors Center, where you can enjoy lunch and do some souvenir shopping before heading in to the Grand Canyon National Park. 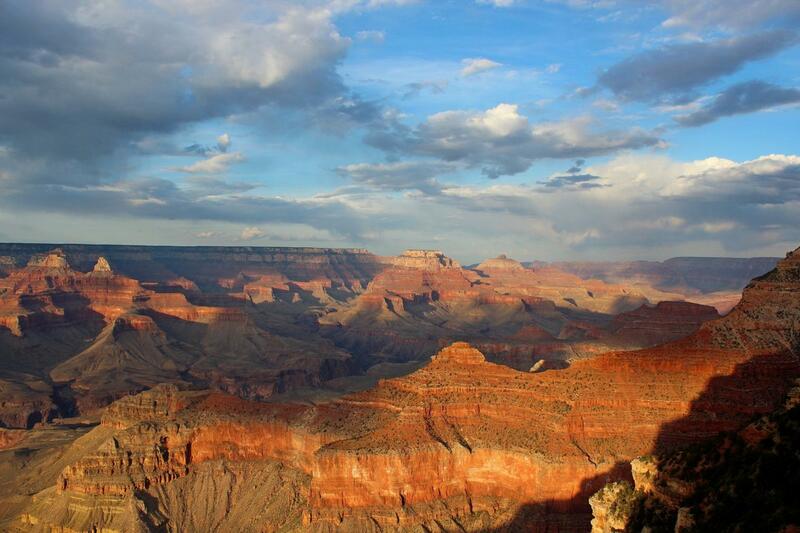 Upon arrival, you’ll have free time at Mather Point to explore the trails lining the canyon’s edge or to simply take in the amazing sights of the Grand Canyon. Prepare for a spectacular experience that you and your family will not soon forget! Heading deeper into the National Park, we will stop for more sightseeing time at Bright Angel Lodge, one of the original hotel destinations at the Grand Canyon South Rim located directly on the edge of the Grand Canyon itself. End the day with a nice and relaxing ride back to Las Vegas in comfort aboard our luxury motorcoaches. Breathtaking views and great photos! Great driver (bus 8140) and organisation. Everything went smoothly. Driver great. Hated how long this took. would never do again and would not recommend it to anyone. The driver was very nice and made a terrible situation bearable. It's amazing to actually see the Grand Canyon, pictured do nothing for it compared to really seeing it.